MTV Hit Show Or Aquatic Organism? If you're a fan of the cliché cringe-worthy reality shows like I am then you must have the smallest inkling of the hit MTV show "Catfish." Now, you might actually have a social life rather than sitting at home binge-watching Netflix on a regular basis (props to you,) so let me give you a brief synopsis of the popular hit. It stars Nev Schulman & Max Joseph, two friends who help everyday people find out who they are actually talking to on the internet. Yes I realize how stupid it sounds but it is just as, if not more, addictive then watching Kim cry for the millionth time on Keeping Up With The Kardashians over getting the wrong Chanel bag. The term "catfish" has become a phrase for someone who pretends to be someone on the internet that they are not. Using someone else's pictures on a profile, creating a fake name — all are key elements in being a catfish. This issue, which most think is an aquatic organism, has become a widespread epidemic. Many can not get on their social media without having to wonder if who they are talking to is real. So why not make a reality show about it? 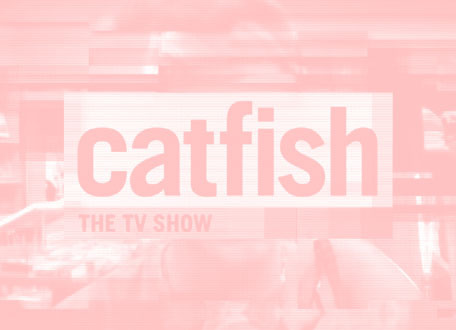 The show itself was actually a spin-off of the urban documentary "Catfish" in which Nev Schulman himself set out on a journey to find out of the girl he had been talking to online was really the love of his life. It turns out, the girl actually wasn't the person in the pictures; he'd been lied to for over eight months of who she was. Nev's catfish even went to the extent of saying she had cancer, and that she was too ill to meet in person, which later was found out to be a lie. The low-budget film went viral, revealing that many others were going through the exact same predicament. In 2012, MTV picked up the pilot for the television show and it was an automatic hit. Hundreds of people submit applications every day for Nev & Max to help them. Each episode follows a different story trying to unravel the mystery to see who is really on the other side. But when did it become the "norm" to be deceitful of who you are online? Yes some people are just spiteful, horrible people that get a sense of joy from hurting others, but for many of the victims on the show, it's a different story. Many stem from difficult home lives, which is why they create a fake online profile as a sort of escape into a different world. Another issue comes from the evolution of body discrimination, causing people to be afraid if others would disapprove of their physical appearance. No matter the reason, be it a train wreck or heartfelt, it's addictive nonetheless. Now the show is just ending its fifth season and I plan on continuing to watch. I'm not sure what it is about reality television shows, but you just can't turn away. Humorous or disastrous — you just need to keep watching, which eventually turns into a binge marathon. But Nev Schulman has defiantly found a niche for something with a catchy name and an issue that no one knew existed, yet thousands are suffering from every day. Though Catfish is a bit different from most reality shows in its intent to help people, it still falls into that category due to the cliché fights and odd characters. No matter what, reality shows will continue on for decades to come until we as a society become bored of the mindless (yet addictive) entertainment... which hopefully never happens.